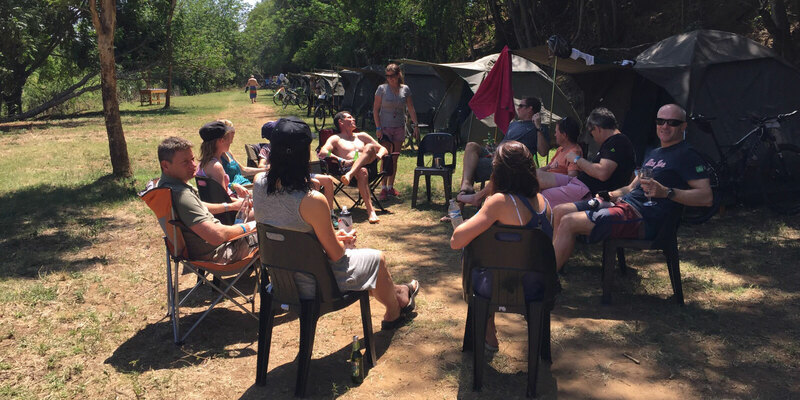 Kingfisher Camp is a limited opportunity to camp in comfort in a peaceful area but still being able to enjoy the social atmosphere & camaraderie of the race village. 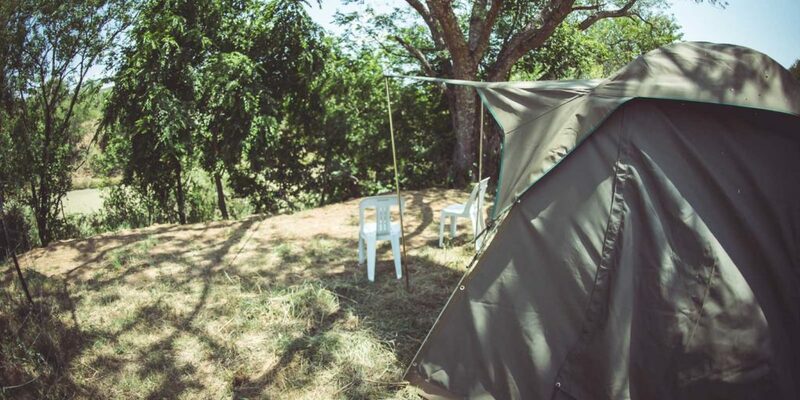 These canvas safari tents allows the guest to stand up and move freely around inside. The tents are placed away from the standard Oxpecker tents but close enough to still be included as well as close to the ablution block. 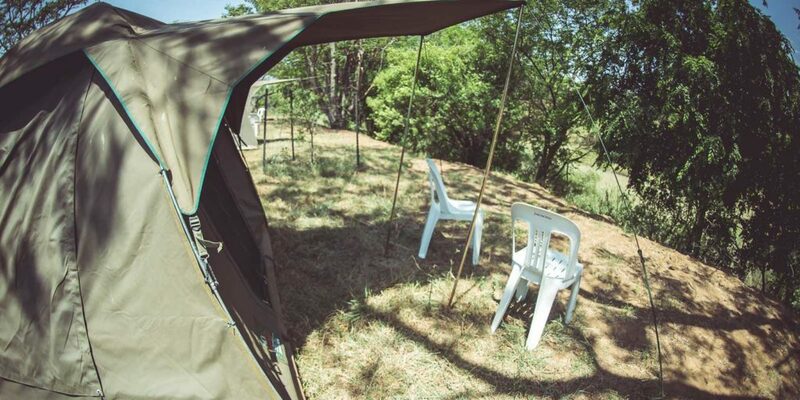 Chairs will also be placed outside the tent to relax after a great day’s running. Cost: R2800 incl. 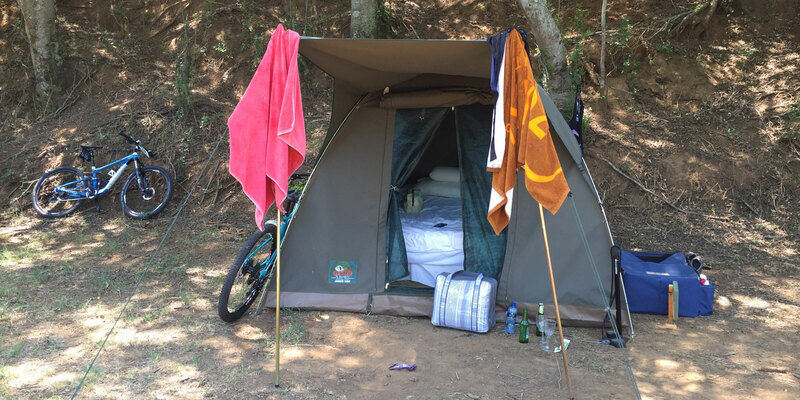 vat per tent (excludes race entry). It can sleep either 1 or 2 runners. 0 km, a peaceful private area in the race village. Will be an option on your entry form. 1st come, first serve.